Warren Ellis is, for me, simply one of the finest musicians around. It’s easy to talk about the finest, the best, the most anything without really discussing what that means, as often it’s about personal taste and subjective response more than anything – and I freely admit that this has to be the case here too, on one level. I love his music, I love how he plays and how he writes music, and the persona that comes through his performances, and so I think he’s one of the finest…and subjective response is always a factor in even the most serious attempt to be objectively analytical about any kind of art. 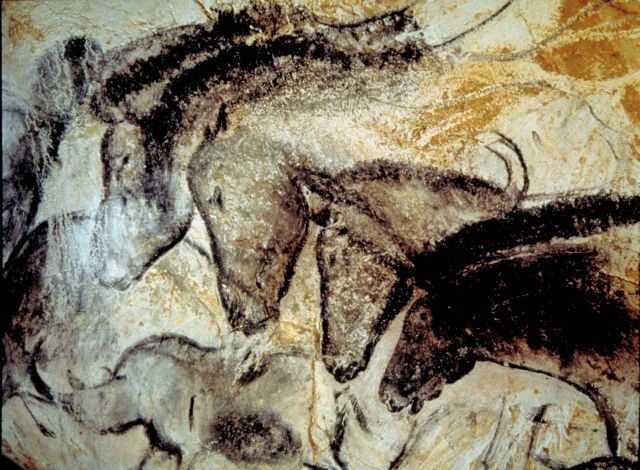 Art, I think, defies objective analysis – that’s intrinsic to what it is. I say that as an art historian, someone who has been trained and has tried to train others to analyse beyond a subjective response. But sometimes a work of art, or a body of work, comes along that shows just how futile academic analysis is, how futile perhaps any analysis is, even the late night debates and arguments with friends over a few bottles of wine where we try to make sense of why we love certain things and why our taste is better than anyone else’s, including (or especially) the people we’re debating with. It happened to me when I was doing my PhD in art history, on German limewood sculpture from around 1500. Part of what I was looking at in my research was its neglect within art history, and even the fact that no one wrote anything about it at the time it was produced. I eventually wrote a 75,000 word dissertation on this that the examiners seemed to like, but really I had realised that the power of this body of art – the thing that had subconsciously attracted me to it in the first place – was that it was meant to be looked at, to be meditated on, to be experienced (I’ll write all about that some other time, perhaps! ), not to be written about or reduced to verbal analysis. It’s not a great thing to discover part way through a major academic research project, but I still found plenty to say. The same is true, I think, of Warren Ellis’s music, especially his work with Dirty Three, but also very much with his film scores and even his work with Nick Cave and The Bad Seeds. Dirty Three, though, perhaps convey most clearly what I’m trying to say. You put on one of their records and from the opening notes you are simply engaged in the music and then quickly absorbed by it and into it and it creates feelings, thoughts, images, experiences that you can’t put into words – and don’t want to, because music is music not words. They call their music songs, which I love, even though they don’t have words – because they nevertheless convey stories and human experience even without lyrics. Warren often introduces them as being about something, part of his banter and interaction with both the music and his audience, but whatever they are ‘about’, the beauty of great art is that you simultaneously respect the intentions of the artist and find your own meaning in what they have created. 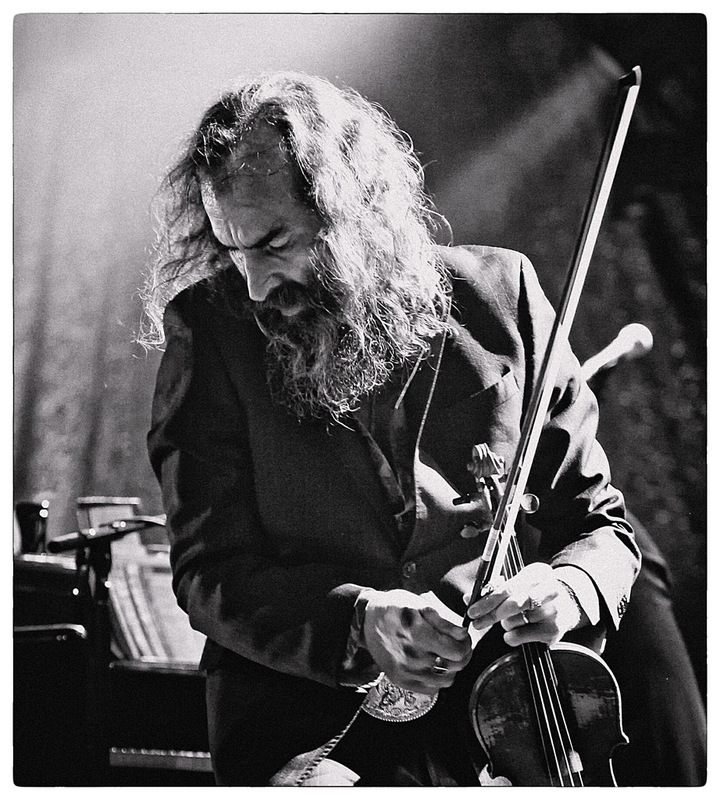 Warren Ellis is a multi-instrumentalist – has even created his own instrument, the tenor guitar – but it is his violin-playing for which he is best known and which for me takes his genius to its highest peaks. He and the violin become one spiritual entity, his entire body creates the music that we hear from the instrument, and watching him play is as absorbing as listening. Anyone who has seen him live knows how dynamic his performance is – with the Bad Seeds he would often crouch down when he wasn’t playing then literally leap into action when he was, but sometimes playing quietly, intently, often with his back to the audience. He sometimes plays the violin like a guitar, pizzicato, the bow stuck down the back of his shirt. With Dirty Three he hollers as the music takes hold, uses the space around him to express physically and viscerally the way the music seems to possess him. I love the NPR Tiny Desk concert (see below) where in such a tiny space he still manages to kick out as he plays – while Mick Turner on guitar never flinches, no matter how close Warren’s shoe appears to threaten. 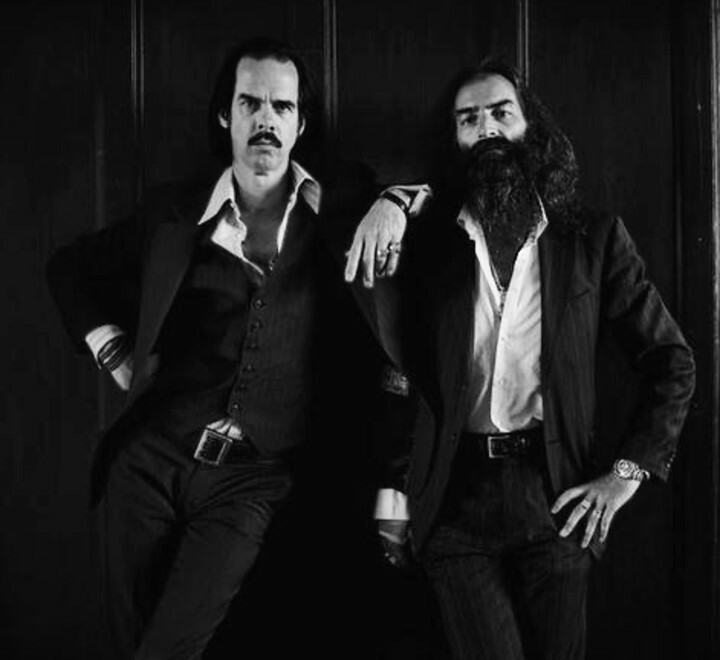 I love Nick Cave’s songs and his voice; I love it when he plays the piano; and sometimes I’ll be listening to a song, and I’ll be thinking that surely nothing could be more beautiful than what I’m listening to. And then Warren’s violin comes in, and my heart finally breaks, and I realise that it could be even more beautiful, and now it is. What am I saying? Nothing at all really, because you have to listen to the music and watch Warren play to begin to understand what I’m on about. But there is a reason for trying to tell you why I think he is so great. A few weeks ago he agreed to be the Patron of the Tree House Bookshop – I wrote a nervous message, thinking I had nothing to lose, and was thrilled to the core when he said yes. It’s not just the excitement of having a musical hero as our Patron. It’s that he is the kind of musician that he is, which was the reason for asking him in the first place. It’s that kind of engagement with art that is at the core of what I’m trying to convey through the bookshop – the intrinsic importance of the arts to being human, the passion that Warren exudes in performance and in conversation (you can find various interviews on YouTube), the lack of pretension in what he does and how he does it, the admiration for huge talent, and the sheer beauty of what he produces, all convey so well the sense I have that literature and the arts are fundamental to being human, to a rich, healthy society, to the way in which human beings connect with each other. He also comes across as a great bloke – warm, funny, articulate, unpretentious, intelligent, full of life. He also has one of the great beards in rock – what more could we want. So to have Warren as our Patron is a magical, exciting, happy thing, and I am grateful that he agreed so willingly. The bookshop now feels connected to the wider world of artistic endeavour and the power and sheer enjoyment of art that we’ve been trying to create on a parochial level. This post is really just to introduce you to our lovely Patron! I have interspersed this with a few clips of Warren playing, in case you haven’t listened to him before – do listen, they are all just beautiful – and I end with a lovely little interview with him and Nick (who have always been the household gods of the Tree House) – they are like a married couple, sitting there, but Nick’s short homage to Warren and the Dirty Three, that he had not heard anything like their music and that it was life-changing, is something I fully share. Dirty Three are playing in Edinburgh in July – I can’t go, sadly, as it’s a standing-only concert and my stupid arthritic knees prevent me from standing for more than a few minutes – but if there are tickets left, you should go. I’ll put on my CD of Ocean Songs and will be there in spirit. **I have no photo credit for the wonderful thumbnail image at the start of this blog post, I stole it from the internet – if anyone knows who took it, please let me know!